In NORSE BY NORTHWEST, you take control of three Vikings that you must lead through a series of increasingly difficult mazes. Each Viking has his own area of expertise: Erik is very fast and has the ability to jump, Baleog is a warrior with a sword and mace, and Olaf has a shield he can use to block attacks. 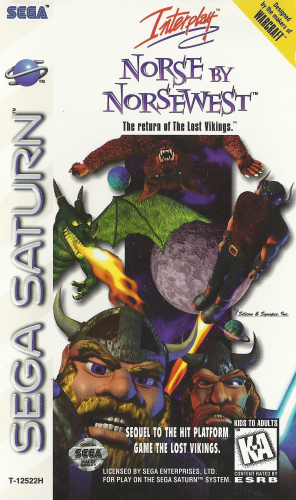 There is a total of 31 levels, each filled with all kinds of obstacles that will require the player to figure out how to use each of the Vikings’ unusual talents.